Photo source: McCormick & Company Inc. The Winter Fancy Food Show was held this past week in San Francisco. Dairy foods were prominent, with cheese having an overwhelming presence. This makes sense. Specialty cheeses are fancy foods. Artisan and better-for-you ice creams were also a noteworthy attraction. Let’s get more dairy foods mainstays to play in this space. Here’s what was surprising at the Winter Fancy Food Show. At times I thought I was at Expo West, the annual natural products show held in early March in Anaheim. All the buzz words that dominate the healthy foods space are now integrated throughout the fancy food segment. Plant-based, cannabis, adaptogens, organic, no added sugar, these trends and more were observed. There was one subtle theme I kept observing that has not been well publicized. It’s the addition of seeds. That’s right, seeds. Those crunchy, colorful, nutrient-dense reproductive components of plants. 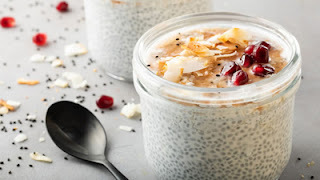 I noticed their addition in all types of foods and beverages, sometimes as a non-characterizing ingredient, but more often as the star attraction. My observation was supported by the 2019 McCormick Flavor Forecast released Jan. 17, 2019. The flavor company identified “the must try flavor trend for 2019” as: The Need for Seed. Seeds, of course, are not a new food. They’ve been consumed forever, with many traditional ethnic dishes relying on the taste and texture of varied seeds. While the health benefits are an obvious driver for the growing popularity of seeds today, their crunchy consistency and earthy flavors appeal to today’s adventurous consumers. Fruits and nuts have long been added to all types of dairy products. 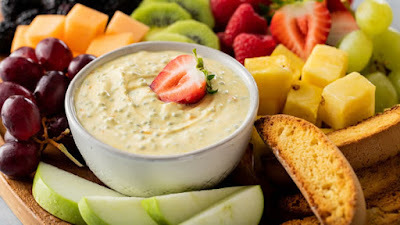 Think pistachio pudding, Swiss almond cheese spread and butter pecan ice cream. Seeds, on the other hand, are a rather new inclusion, but one that is quickly gaining traction. Seeds—a plant-based food—are capable of turning an ordinary dairy food into an extraordinary dairy food: a specialty better-for-you food. “Plant-based ingredients, combined with dairy foods, can help Americans improve their intake of essential nutrients,” according to Jane Dummer, a registered dietitian, industry consultant, author of The Need for Seeds and a good friend. “They help to achieve the Dietary Guideline’s recommendation for consuming a mostly plant-based diet, while also meeting the two to three servings of dairy recommendation. So add some seeds while keeping added sugars low or no. That’s what Elli Complete is all about. 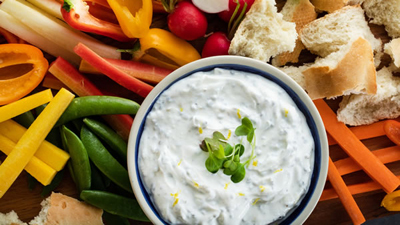 This creamy whole milk quark—a fresh cheese made using an authentic German recipe—comes in a dome cup loaded with superfood inclusions for the consumer to mix into the no-added-sugar flavored quark. Elli Complete comes in three varieties. Banana Nut Bread has a dome filled with walnuts, white chia seeds, pecans and dark chocolate. The German Chocolate Cake dome contains walnuts, toasted coconut, dark chocolate and white chia seeds. Peanut Butter ‘N’ Jelly features a dome filled with peanuts, almonds and white chia seeds. Each single-serve container provides 20 to 25 grams of protein, 9 to 12 grams of net carbohydrates and 1.6 to 3.9 milligrams of omega-3 fatty acids. 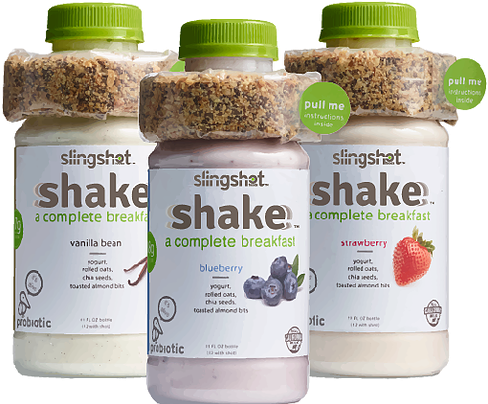 Slingshot Foods patented a unique package design for its Slingshot Shake drinkable high-protein yogurt. First reported as a Daily Dose of Dairy new product innovation in 2015, Slighshot Shake is positioned as a complete breakfast. Developed by a former refrigerated smoothie yogurt executive who wanted a macronutrient-dense, simple ingredient portable breakfast, Slingshot Shake is an 11-ounce yogurt protein drink with a 1-ounce crunchy shot wrapped around the bottle neck and intended for the consumer to pour into the yogurt, shake and drink. That shot is a patented plastic stick pouch filled with chia seeds, rolled oats and toasted almond bits. The beverage is made with low-fat yogurt enhanced with milk protein concentrate. The entire shake provides 18 grams of protein, 3 grams of fiber, probiotic cultures and prebiotic fiber. Averaging about 300 calories per bottle, the shake comes in Blueberry, Peach, Simply Plain, Strawberry, Vanilla Bean and the most recent addition, Power Plant. This yogurt shake contains spinach, pineapple, ginger and turmeric. This past year the drink gained distribution across the country and its popularity is growing. 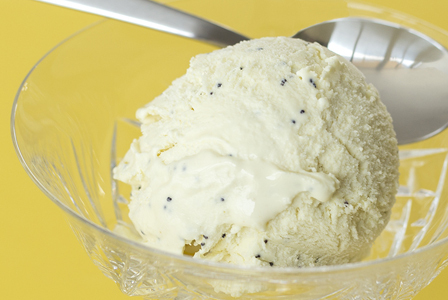 Seeds are being featured in ice cream, too. hand-toasted black sesame seeds and a little sesame oil. Sonoma Creamery continues to grow its baked/dehydrated cheese concept. Last year the company introduced the Cheese Crisp Bar, which is savory snack bar baked from real cheese and simple ingredients. The Savory Seed variety includes pumpkin and sunflower seeds. The company is now rolling out Sonoma Savory Seed Baked Cheese Toppers. 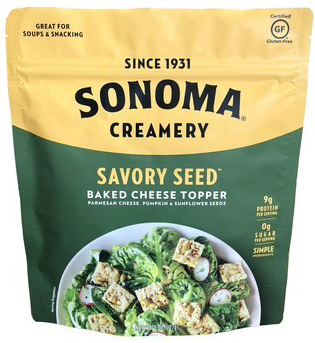 Designed for sprinkling on salads and soups, or used as a crunchy layer in a sandwich, or just to snack on, the Toppers are cheesy, crunchy, keto-friendly, gluten-free, all natural and have zero sugar. They are made using 10-month aged parmesan and aged white cheddar and feature organic pumpkin and sunflower seeds. 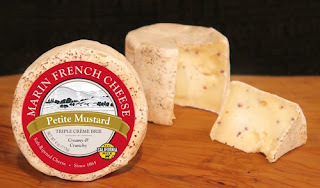 Mustard is a seed and Marin French showcased its new Petite Mustard triple-cream brie at the Winter Fancy Food Show. 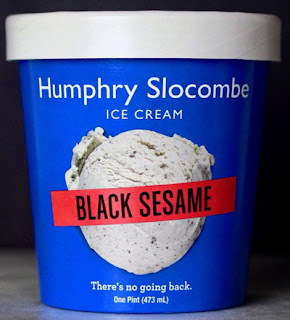 The soft cheese features the bold, nutty aromatic characteristics of black and brown whole mustard seeds on the inside and the added kick of flavor thanks to crushed mustard seeds on the exterior of the bloomy wheel. Last year, PepsiCo rolled out Quaker Morning Go-Kit. 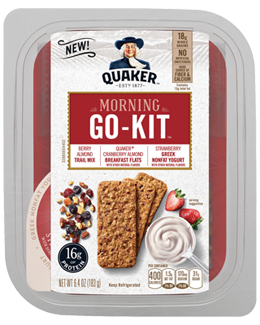 The three refrigerated kits each contain a nuts and seeds trail mix, a nuts and seeds breakfast bar and Greek nonfat yogurt. Each kit is loaded with 18 grams of whole grains from nuts, seeds, oats, quinoa and more, without any artificial sweeteners, flavors or colors. Banana Honey, Blueberry and Cranberry. Let’s redefine the act of “being seedy,” and add some seeds to dairy foods in 2019! There's so many opportunities to be creative. Hope to see many of you at Dairy Forum!